- October 24, 2018 - Flight Day 2018. Toronto - August 22, 2018 - Golf Tournament, Royal Ontario Golf Club. Winnipeg - September 17, 2018 - Golf Tournament, Southwood Golf & Country Club. Commonwealth Air Training Plan Museum 2018 Air Display. Location: Brandon Municipal Airport (CYBR) - August 9, 2018. 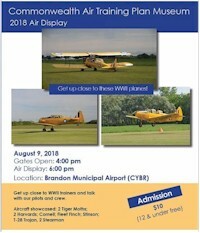 I'm flying YYJ/YBR/YYJ on August 9 to 14th to visit my daughter in Dauphin, MB, and specifically to have a look-see at the BCATP Brandon Aviation Museum and I shall be able to meet Jeff Bell who flies the Harvard & Cornell. Because my time is limited & only WestJet Encore serves CYBR, I'm flying WestJet both ways. Air Canada supported ÉNA’s (Ecole Nationale d’Aérotechnique) team, aircraft maintenance instructor Michèle Rivest and aerospace engineering student Madeleine Mena Zapata, the only Canadian representatives, at this year’s Air Race Classic Collegiate with a $1,000 donation. The Demois’ailes team, which consisted of women of all ages, backgrounds and professions, met the challenge of crossing the United States, spending four days at the controls of an ÉNA-owned Cessna 172. The flight covered more than 4,000 km and included nine stops. Rivest and Zapata said they embarked on this trip to raise the public’s awareness of general aviation and encourage current and future women to pursue their dream of becoming a pilot. 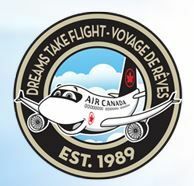 Many Air Canada employees have attended ÉNA over the years. June 21, 2018 - Rouge inaugurated non-stop service Kamloops to Toronto. June 22, 2018 - Rouge inaugurated non-stop service Victoria to Montreal and Nanaimo to Toronto. On Sunday, July 1, 2018, Air Canada Rouge celebrated its fifth birthday, a major milestone for a company that carried just 775 customers on five flights on its first day of operations. This year on the anniversary of its launch, Rouge will have carried more than 25 million customers to five continents. June 21, 2018 rouge inaugurated non-stop service Kamloops to Toronto. June 22, 2018 rouge inaugurated non-stop service Victoria to Montreal and Nanaimo to Toronto. Star Alliance continues to open branded lounges in key markets where no member carriers have a main hub. The global airline alliance opened its seventh branded lounge at Rome Fiumicino Airport on June 29, 2018. Airline career history and memorabilia are always in danger of slipping away from the people who care. Items that could bring treasured memories to many people may be discarded because their value is not realized. Stories and photographs thrown away, verbal stories are not recorded, and thus may be forgotten. We, here at the NetLetter, welcome any stories, photographs or memories of your airline career to share with our readers, which may generate their own memories which they may share. All such submissions are stored in our database files in perpetuity. We wish to thank all our readers for your continued support of our efforts to appreciate the people who have built the industry. April 29 - Service to Munich re-introduced. Previous service was from 1974 to 1976. Service to Geneva, Switzerland commenced. May 1 - Non-stop flights from St. John’s, Newfoundland to Goose Bay began. May 17 - Non-stop flight from Ottawa to Regina service with CRJ-705 aircraft. June 3 - Service commenced Toronto - Barcelona. June 6 - Service commenced Toronto - Athens. 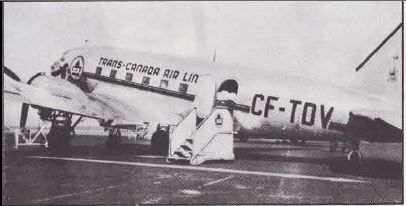 June 12 - Service commenced Montreal - Brussels with B-763 equipment. June 24 - Service commenced Toronto - Copenhagen. From the "Horizons" magazine issue dated August 1983. La Guardia - the way it was. Pictures tell the story here. Taken at La Guardia circa 1946/47, they were provided by Bruce Hembroff, then a Passenger Sales Manager, San Francisco. This photo of Bruce, on the tarmac with Doug Ballinger, retired Toronto mechanic, loading baggage onto a Lockheed 14, probably in 1946. Here in the photo of the La Guardia staff in 1946. 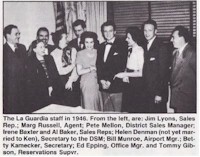 From the left, are: Jim Lyons, Sales Representative; Marg Russell, Agent; Pete Mellon, District Sales Manager; lrene Baxter and Al Baker, Sales Representatives; Helen Denman, Secretary to the DSM; Bill Munroe, Airport Manager; Betty Kamecker, Secretary; Ed Epping, Office Manager and Tommy Gibson, Reservations Supervisor. Stair trekkers conquer Mount Neverest. A group of 25 people climb 900 flights of stairs in five days? Impossible! However, 380 Air Canada employees working at the Richardson Building in Winnipeg proved that 900 flights of stairs were an easy goal and a safe, enjoyable way of incorporating exercise into one's daily routine. The Mount Neverest (pronounced never rest) Challenge was just one of the events held during National Physical Activity Week during the spring of 1983. On a group level, the Mount Neverest Challenge, groups of up to 25 people were encouraged to climb a total of 900 flights of stairs in the five working days that the campaign ran. Each flight of stairs was arbitrarily set to be equivalent to 10 metres. Nine hundred flights of stairs would, therefore, be equivalent to 9000 metres. The summit of Mount Everest is 8,780 metres, hence the name, Mount Neverest. Each team was encouraged to reach new heights in stair climbing by its group leader or "Sherpa". The Sherpa also kept everyone informed as to the team's progress and position on Mount Neverest. 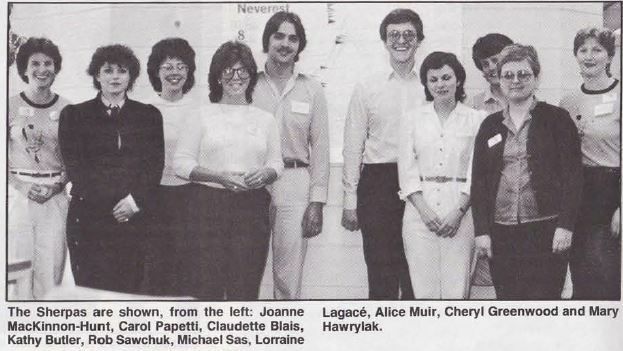 The Sherpas are shown, from the left: Joanne MacKinnon-Hunt, Carol Papetti, Claudette Blais, Kathy Butler, Rob Sawchuk, Michael Sas, Lorraine Lagace, Alice Muir, Cheryl Greenwood and Mary Hawrylak. The Pacemakers are shown, seated from the left: Marlene Turzak, Bev Lewis, Claudette Blais, June Morris and Joan Rochon. Standing, from the left, are Jim Prouten, Ed Kumka, Jim Ursel, Paul O'Sullivan, Russel Evanochoko, Jan Shute-Furst, Ann Hitesman, Lenore Dodson, Colleen Ball, Florence Richard, Rose-Anne Kociolek, lvy Enns, Lynn Oppenheimer, Al Poitras, Darcy Wershler and David Avery. Missing from the photo (probably still climbing! – eds) are: Betty Shapiro, Gerry Mason, Joe Nosko, Pat Heinke, John Sagriff and Harry Davies. The mighty DC-3, pride of the fleet. 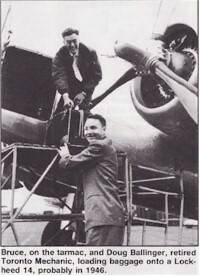 This aircraft was delivered to TCA in June 1946. CF-TDV sold to Remmert-Warner Inc. and delivered in 1961 to Charlotte Aircraft Corp as N9123R and has 16,633 hours flying with TCA. 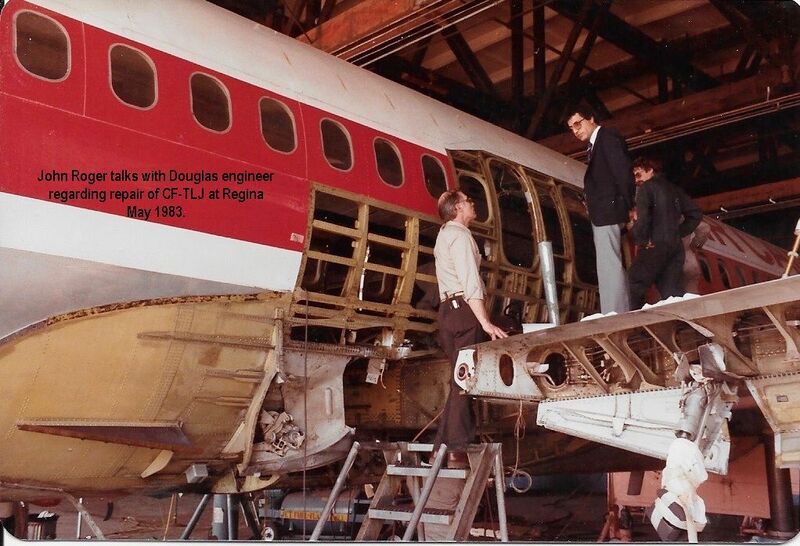 The aircraft ended up with Trans Peraruana de Aviacion as OB-R-810 on October 31, 1965. Fate unknown. Air Canada launched an aggressive new European program for freight business, effective January 7, 1984. The plan is designed to combat diminishing yields on the rate-embattled North Atlantic routes, while retaining strong overnight service levels between North American and European markets. The new operation will establish Air Canada as one of the few carriers to renew its commitment to freighters, at a time of sharp reductions in worldwide cargo capacity. 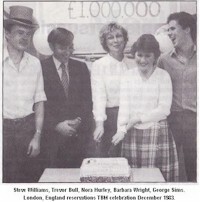 The London, England reservations staff set itself a stern task when, after participating in a passenger sales effectiveness program, it decided to set a target of one million pounds in "Tickets by Mail " sales for 1983. TBMs are issued in-house to direct callers to reservations thus saving commissions to travels agents. The target was reached in late November and the staff took a few minutes off to celebrate their success. Sales were up by 26 percent over 1982 with an additional month still to be credited. Five of the 26 reservations employees who participated in the program are shown with a cake prepared by Commissary. From the left, are: Steve Williams, Trevor Bull, Nora Hurley, Barbara Wright and George Sims. 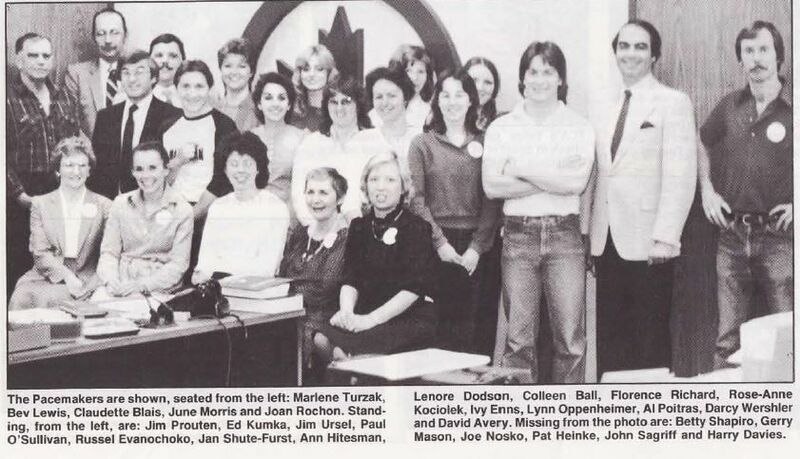 During 1983, Canadian Maple Wings chapter at Edmonton was set up with the assistance of Maple Wings' President Gretchen Marsh. The Edmonton officers were Louise Kostash, President; Marg Babych-Warren, Vice President and Merilyn Fitzelle-Boitson, Secretary-Treasurer. From the "Parts & Pieces" magazine issue July 1992. 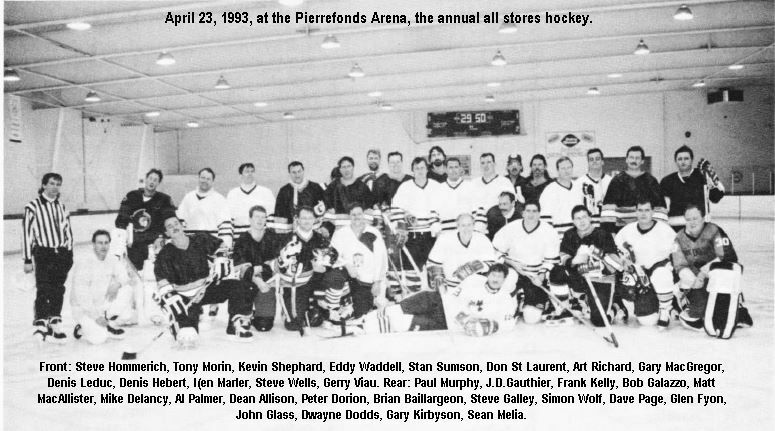 On April 23, 1993, at the Pierrefonds Arena, the annual all stores hockey game was played with over one and a half hours of action, excitement and spills. Front: Steve Hommerich, Tony Morin, Kevin Shephard, Eddy Waddell, Stan Sumson, Don St Laurent, Art Richard, Gary MacGregor, Denis Leduc, Denis Hebert, Ken Marler, Steve Wells and Gerry Viau. Rear: Paul Murphy, J.D. Gauthier, Frank Kelly, Bob Galazzo, Matt MacAllister, Mike Delancy, Al Palmer, Dean Allison, Peter Dorion, Brian Baillargeon, Steve Galley, Simon Wolf, Dave Page, Glen Fyon, John Glass, Dwayne Dodds, Gary Kirbyson and Sean Melia. Canadian Pacific Airlines inaugural flight Vancouver - San Francisco was January 30, 1967. Fairchild Air Transport, Quebec 1926. Timetable for Elliot-Fairchild Air Service. Last day of flight April 17, 1926 from Red Lake to Rolling Portage. Elliot Air Service, 1928 was persuaded to enter into a partnership with Fairchild Airplane Manufacturing to serve Rouyn mining area vacated by Northern Air Service. The merger did not survive. In 1927 the company was renamed Fairchild Aviation, Quebec. 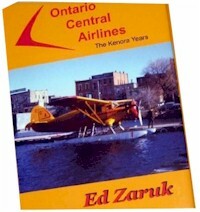 The Kenora Years traces that famous airline’s history starting when Rex Kiteley and Gordy Hollinsworth purchased two planes and the bases at Red Lake and Kenora from Grant McConachie. For over two decades OCA serviced miners, commercial fishermen, Native communities and fly-in fishing lodges in Northwestern Ontario. The late and highly regarded Don Watson, President of the once famed Pacific Western Airlines cut his teeth with OCA as did many pilots now retired from the majors who will be forgiven an eager desire to read of these good old days in Canadian Aviation when planes were made of wood and men of steel. Priced at CDN $51.00 includes shipping in Canada. 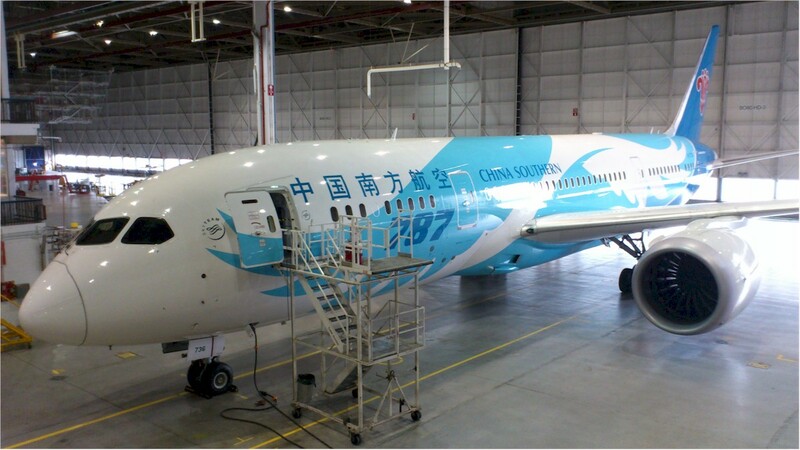 In February 2016, China Southern Airlines initiated Boeing 787 Dreamliner service between Guangzhou, China and Vancouver, Canada. Unfortunately, one of the first flights into Vancouver had a bird strike on the no. 2 engine nose cowl on descent. 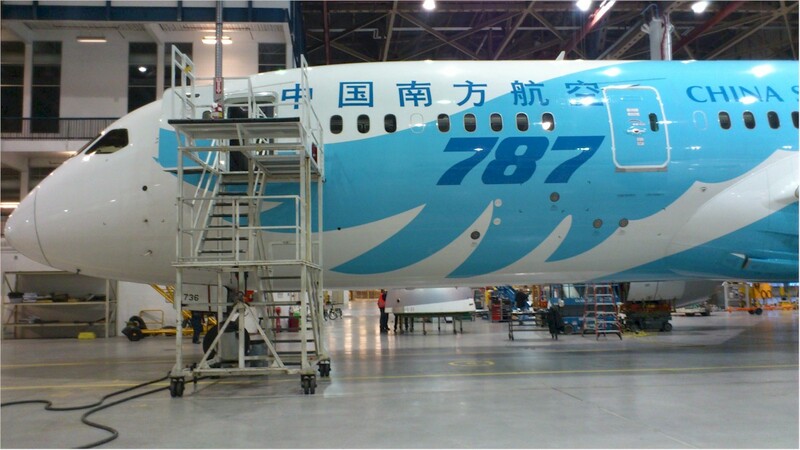 Considering the high profile surrounding the introduction of the B-787 and the growth of the China-Canada travel market, this situation got a lot of attention. I was still working as a station expediter at the Vancouver Ops Centre when the damaged aircraft was towed into the hangar just outside of the Line Maintenance office. 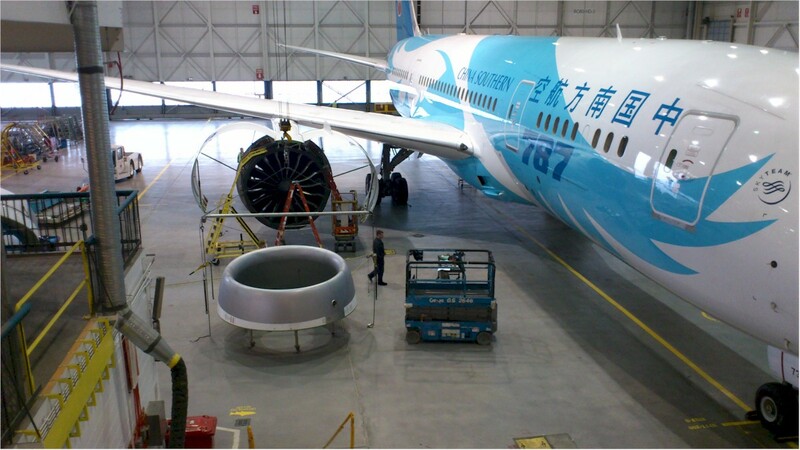 Within just a few hours, personnel from Boeing and China Southern arrived on the site and I thought it was quite impressive to watch them coordinate the repair. 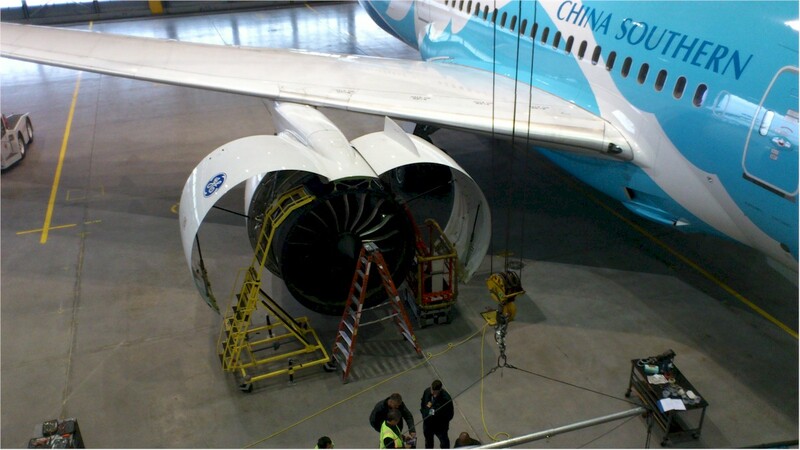 A new nose cowl was shipped from Boeing up to Vancouver and the aircraft was back in service within twenty-four hours. Below are a few of the images taken with my cell phone. 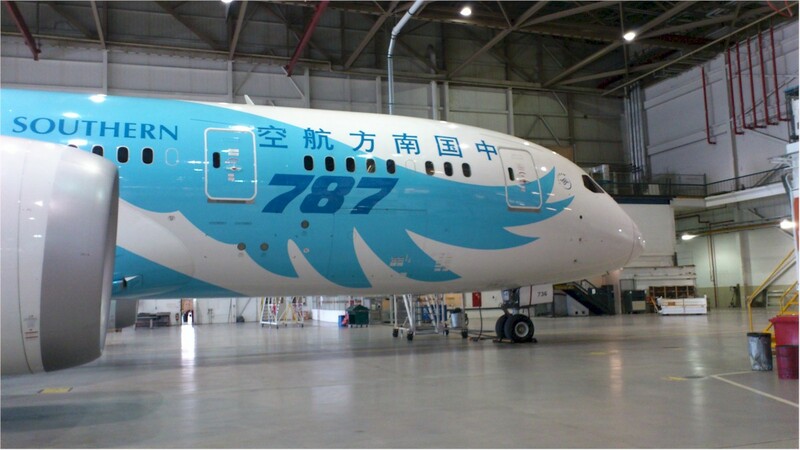 I checked and Fin # 736 Registration B-2736 is still active in the China Southern fleet. You made it easy to participate in CARP's campaign to protect pensions. The instructions from Sue Welscheid, Chair, Pension Sub-Committee, had a few more steps. I think your simplicity will engage more Pionairs. A sense of humour has always been a part of my TCA/AIR CANADA Associations! I was always known as Murray however when I joined TCA/AC computerization took over and I became 'Edward' which is indeed my First name! It appears that you lads are giving me my name back! Thanks a lot for that! Keep up the GOOD WORK! I loved the James Corden / Paul McCartney carpool karaoke item in Alan’s Space. The absolute best of them all. Maybe not directly airline/aviation related, but indirectly it is very much a part of so many of The NetLetter retiree readers' younger lives and as with Alan, even to this day. Hi Terry, I read your NetLetter and I checked my files and found the archived article from the LP, it sheds some light on the event. I really enjoy your NetLetter. There are so many interesting things there and it is a learning experience. I sent the entire paper for you as it would take too long to edit it. This has brought back memories of the incident in Regina. I went to Regina to do x-rays on the area that was damaged. Working with the Douglas engineer who would point out what he wanted to be done. The aircraft was too high at the tail to go all the way into the small hangar. It was put on jacks with the tail outside the hangar. Our crew all from YUL & YWG had to go at noon one day to move from the hotel we were staying at to another hotel due to a convention at ours. While we were doing that a wind storm came up all of a sudden and anyone of you that knows the western prairies know how bad they can be. When we got back to the hangar the Douglas engineer was beside himself. He was the only one to stay behind and lucky for him he did. With the strong wind, the aircraft started bouncing up and down almost coming off the jacks. Somehow he got a dumpster filled with sand and had it to tie down the nose of the aircraft saving it from coming off the jacks. 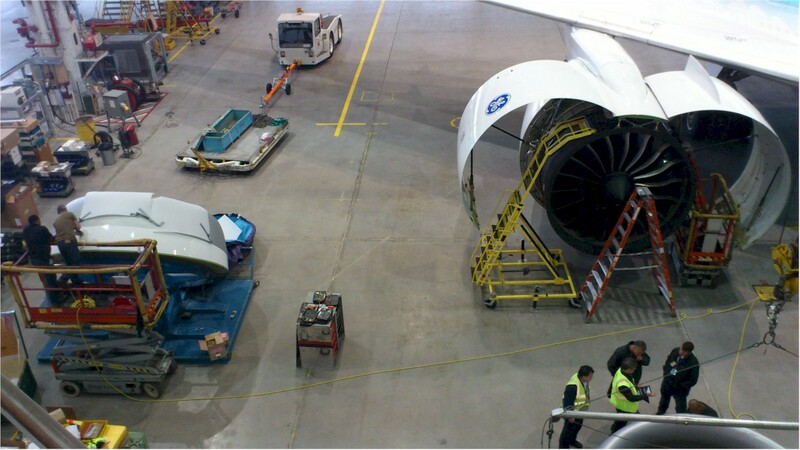 He told us after that if it did come off the jacks they would have had to scrap the aircraft. It was repaired and back into service for many years after. Attached is a photo of me talking to the Douglas Engineer. As you can see it was a major repair. 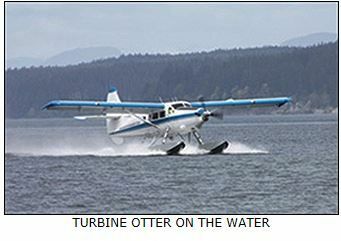 Vancouver Island Air Ltd. has been in operation since 1985, offering charter and scheduled service with Turbine Otters on floats from Campbell River, British Columbia. The company was started by Larry Langford in 1985 with a Cessna on floats. Mr. Langford has over thirty years of coastal aviation experience serving the resource and tourism industries. Wildfire fighters may soon have a new aerial attack weapon in the in the form of a retired Southwest Airlines Boeing 737-300. Coulson Air Tankers, the Canadian company that displayed the last flying Martin Mars flying boat at AirVenture 2016, bought six of the airliners from Southwest and has finished converting one to a multipurpose aerial tanker. The Fireliner is currently in San Bernardino, California, undergoing FAA certification tests, focusing on the flight performance of the plane with the 4,000-gallon water/retardant tank installed. “This is part of the certification program that every air tanker must go through and as we are the first firefighting B737 in the world, it’s key that we understand the limitations of the aircraft,” the company said in a Facebook post. The next step is “grid testing” by the U.S. Forest Service to assess the drop pattern from the aircraft. The company says one of the selling points of the aircraft is a new delivery system that pumps water or retardant at the rate of more than 2,000 gallons per minute. That compensates for the higher speeds of the jet to concentrate flow on the fire. The aircraft can also carry 63 passengers when the tank is empty so it can be used to ferry ground crews or other personnel. 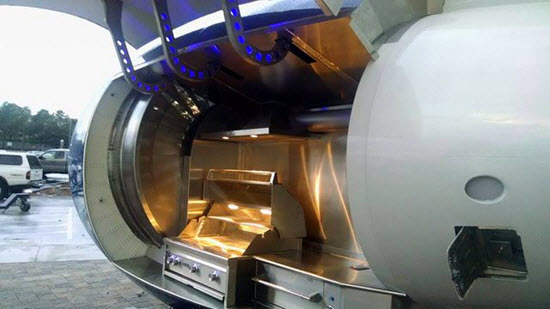 In an earlier interview, company President Wayne Coulson said there’s also an option for an executive interior so that countries or states can use it year-round. The plane also sports a new Garmin 5000 panel. Meanwhile, Coulson is still looking for “respectful” homes for its two Martin Mars aircraft, which will likely never fight fires again. He’s hoping museums will be interested in acquiring the planes, which were originally built for the U.S. Navy as troop carriers. Bombardier CSeries renamed Airbus A220; hopes for ‘several hundred’ orders this year. Airbus hopes to secure “several hundreds of additional orders” for the newly renamed A220 this year, according to Airbus CCO Eric Schulz. JetBlue has ordered sixty A220-300s to replace E190s. JetBlue Airways, providing an early boost to the newly re-branded Airbus A220 line and delivering a notable blow to Embraer, has placed an order for 60 A220-300s—previously known as Bombardier CS300s—and earmarked them as E190 replacements. You can get or renew a British passport for free if you’re a British national and you were born on or before September 2, 1929. Check the Air Canada Employee Travel Site for additional ZED agreements for Cityjet, Vueling Airlines and Tunisair. More aircraft restaurants to go with those in NetLetter #1391. Love Heineken? Make sure to come to St. Maarten's Air Lekkerbek Bar & Restaurant to drink a round. The Japanese-made former aircraft has been stripped down and redecorated to look like Heineken's biggest fan, and it actually serves beer, too. Sitting adjacent to the Radisson Hotel, the former Boeing KC-97 tanker has been renovated to accommodate 275 hungry travellers. The Airplane Restaurant found in Colorado Springs, not only offers great food for both lunch and dinner, but also provides customers with a thorough aviation history with heaps of rich memorabilia and pictures. 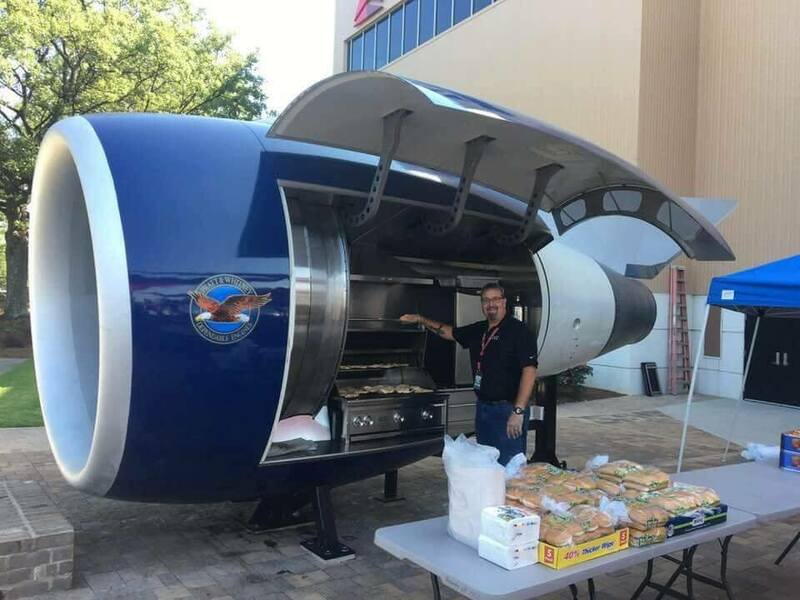 This airplane-DC-10-turned-restaurant can serve up to 118 people and is found in the capital of Ghana, making it a go-to spot for locals, many of whom have never stepped foot in an actual plane. After Ghana Airways went bankrupt in 2005, the plane was left impounded at London's Heathrow, but it’s now back in its hometown. The restaurant has waitresses dressed as flight attendants and serves traditional West African and Ghanaian foods. The fridge in the forest mystery. There's an urban legend about a deceased scuba diver being found halfway up a tree in a forest causing head-scratching by investigators, until they work out that the unfortunate chap was accidentally scooped up from the local lake - before being unceremoniously dropped - by a refilling firefighting aircraft. It's all nonsense, of course, not least because a small fish would struggle to get through the modest scoop intake of a Bombardier CL-215. But, an incident in the Canadian wilderness might one day serve up an equally mysterious campfire tale. Investigators have disclosed that a Bell 205 helicopter inadvertently lost a fridge being carried as a sling load from Little Grand Rapids. It fell in an uninhabited area of woodland, says Canada's Transportation Safety Board. So if you happen to be walking through the seemingly endless expanse of Manitoba forest which surrounds Little Grand Rapids airport, and come across a den with a kitchen appliance, rest assured that Wal-Mart isn't delivering to the local timber wolves.